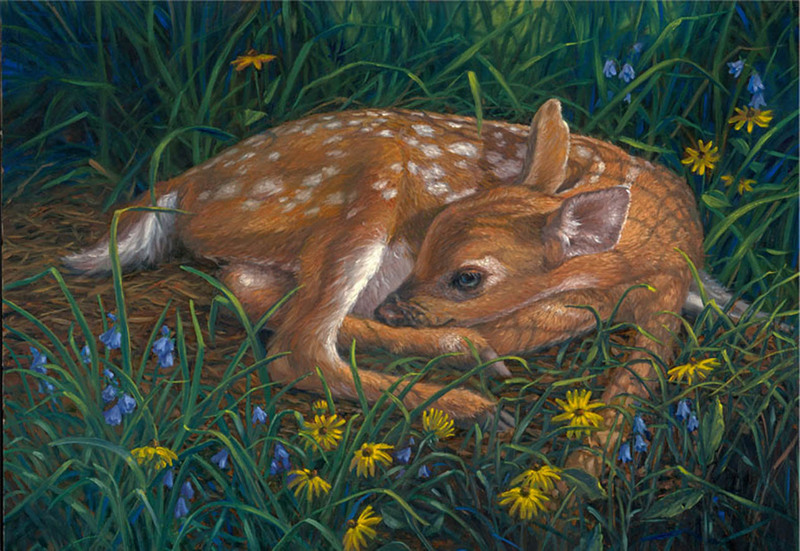 The relationship between the Eastern Woodland Indians of North America and nature is essentially the inspiration for much of my work. The imagery I create often depicts the animals, plants, landscape and the indigenous people as they existed for thousands of years before European settlement. What the first Europeans saw as a vast wilderness was largely not a wilderness at all. 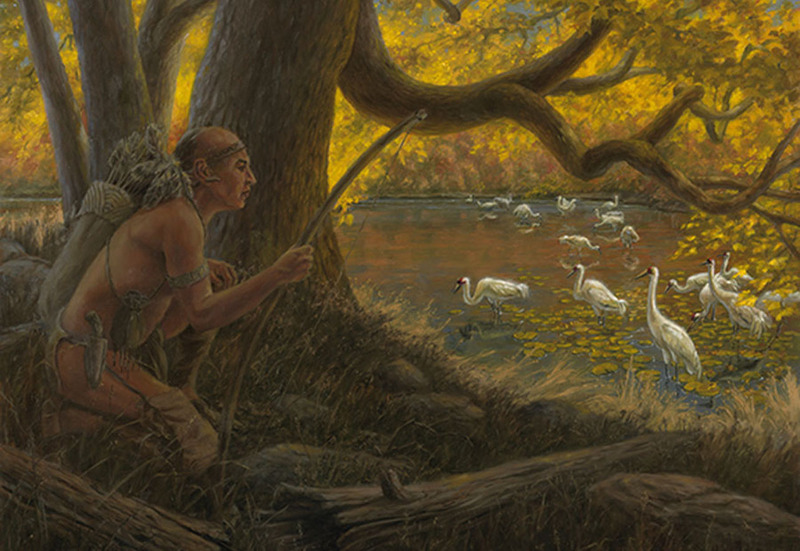 The Native Americans had been altering the landscape for millennia to increase the abundance of food for themselves. 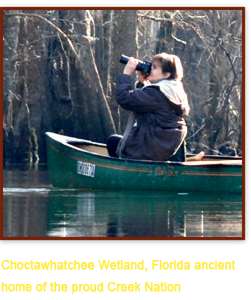 In the process they created a more diverse and sustainable ecology for all the flora and fauna they depended upon. They believed the earth was a treasure in trust to be handed down to future generations in as healthy a condition as they inherited from their ancestors. How unfortunate that only now in the 21st century are we starting to embrace this concept. The Native Americans also possessed an intimate knowledge of the four seasons and the changing celestial positions of the sun, moon and stars. Much of this knowledge has been lost to time. But in the state of Ohio, where I am lucky enough to live, many of their ceremonial earthworks, their designs based on this knowledge, still exist today. They provide testament to the Native American’s advanced understanding of engineering, mathematics and astronomy. The scale and geometric precision of these earthworks is so remarkable they are poised to be nominated as World Heritage Sites through the United Nations. This will elevate them to the same level of importance as the Pyramids of Giza, the Great Wall of China and other cultural treasures around the world. 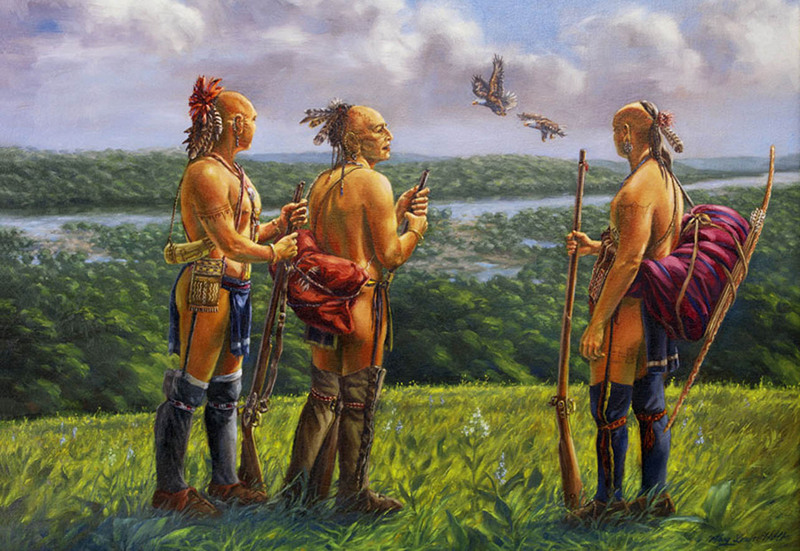 Our European ancestors considered the Native Americans to be savages. But in many ways, I believe they were ahead of their time. Each painting I create is a visual narrative and has been carefully researched to bring as much historical accuracy as possible. But I also strive to create images that are artistically beautiful. I want to compel the viewer to more fully appreciate the beauty of the earth as it once was and the remarkable people that thrived in harmony with it for centuries. I invite you to travel back through time with me and visit this lost world through my art. 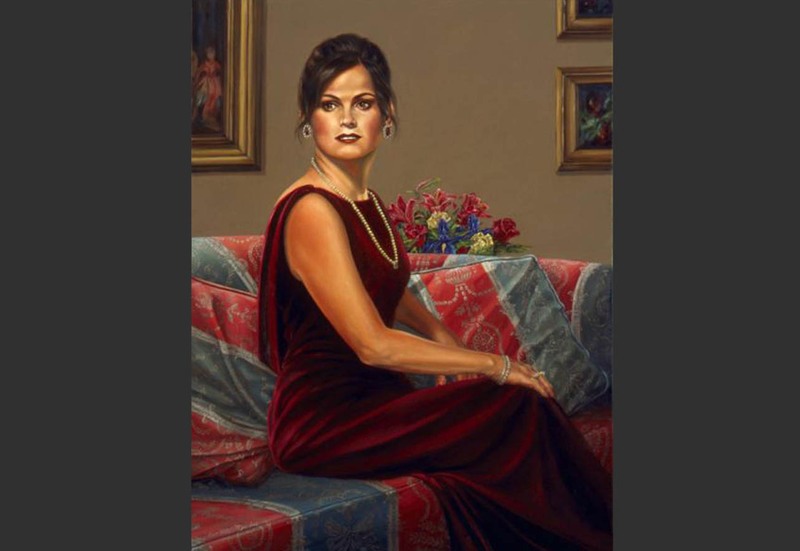 For more information about commissioning a portrait, contact Mary Louise Holt.